Anti-apartheid struggle stalwart and ANC veteran, Laloo ‘Isu’ Chiba (87), passed away on the morning of 8 December 2017 at his home in Lenasia after a brief period of illness. Isu Chiba was born 5 November 1930 in Johannesburg. He attended the Bree Street Primary School and the Johannesburg Indian High School in Fordsburg. He married his wife, Luxmi, in India on 5 May 1952. In the early 1950s, he befriended young activists of the Transvaal Indian Youth Congress (TIYC) such as Ahmed ‘Kathy’ Kathrada, Bobby and Tommy Vassen and Herbie Pillay, which awakened his early political consciousness. Kathrada’s arrest in 1956 together with 155 leaders of the Congress Movement on treason charges got Chiba thinking more seriously about his own political role. In the late 1950s, he became politically active in the campaigns of the Transvaal Indian Congress (TIC) and the broader Congress Movement led by the African National Congress (ANC). The Sharpeville massacre, the banning of the ANC and the Pan Africanist Congress (PAC) and the declaration of a state of emergency by the racist National Party had a profound impact on his life. He joined the banned South African Communist Party (SACP) in 1960, being recruited to the party by the late ANC veteran, Reggie Vandeyar. Early in 1961, his SACP cell was changed into a Sabotage Unit under the leadership of Wolfie Kodesh. This Unit was involved in the disruption of power supply and telecommunication networks in Johannesburg and surrounding areas. In the latter half of 1961, the SACP Unit was instructed to disband and become part of the ANC’s armed wing, Umkhonto we Sizwe (MK). When MK was launched on 16 December 1961, his Unit selected three targets for armed attacks, namely, the Bezuidenhout Street Pass Office, the Whites-only section of the Post Office on Central Road in Fordsburg and the Bantu Commissioner’s Court in Malherbe Street in Newtown, where Africans were convicted for pass law offences. In 1962, he was appointed as a Platoon Commander in charge four MK Units in Johannesburg. Kathrada was instrumental in arranging Chiba’s visit, together with the late John Matthews, to the Soviet Union in July 1962. In Moscow he met SACP leader, Dr Yusuf Dadoo, who was also President of the South African Indian Congress. He was first arrested on 17 April 1963, when one of the MK Units in his platoon was caught red-handed whist engaged in a sabotage attack on railway property in Riverlea. He was severely tortured by the brutal apartheid security police, but was later released after charges against him were withdrawn due to lack of evidence. After the arrest of Nelson Mandela and other senior MK and ANC leaders, Chiba was appointed on to the 2nd National High Command of MK led by Wilton Mkwayi. 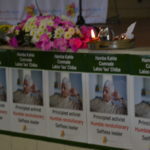 He was arrested on 6 July 1964, taken to Langlaagte Police Station and detained in terms of the 90-days detention law. He was charged on several counts of sabotage together with four accused, namely, Comrades Wilton Mkwayi, David Kitson, John Matthews and Mac Maharaj, in what came to be known as the “Little Rivonia” Trial. Chiba was sentenced to 18 years imprisonment on Robben Island Prison, which he served to the last day with leaders such as Nelson Mandela, Walter Sisulu and Kathrada. In prison, he served on the Communications Committee in B Section set up by the High Organ of the ANC to smuggle messages to the outside world and to the General Section of political prisoners. He, together with Mac Maharaj, was responsible for the transcription and smuggling out of prison of Mandela’s autobiography, Long Walk to Freedom. Together with Michael Dingake he was involved in preparing the biography of Walter Sisulu. After his release he soon became active in the revived Transvaal Indian Congress and the United Democratic Front. In 1983, he was elected as one of the Vice-Presidents of the TIC. He was detained during the State of Emergency in July 1985, as comrades were returning from the funeral of Matthew Goniwe and others in the Eastern Cape. He was released from detention without trial on 7 March 1986, and shortly thereafter he was instructed to go underground. When the ANC was unbanned in February 1990, Chiba was appointed onto the Internal Leadership Committee of the ANC PWV Region. In July 1990, he was elected as the ANC – Lenasia Branch Chairperson, a position he held for four years. He was also appointed onto the Gauteng Interim Leadership Core from May 2000, until the ANC Gauteng Provincial Conference in 2002. He served on the ANC Gauteng: Disciplinary Committee from 1995 to 2004. After the democratic dispensation of 1994, he was elected as an ANC Member of Parliament from 1994 to 2004. In Parliament he served on the Standing Committee on Public Accounts, the Portfolio Committees on Housing and Correctional Services and the Audit Commission. He retired from official politics in 2004. He was instrumental in establishing the Ahmed Kathrada Foundation in honour of his lifelong friend and political mentor. He served on the Board of the Foundation until his last days, visiting its office on a daily basis. On 16 June 2004, he was awarded the Order of Luthuli (Silver) by former President Thabo Mbeki. 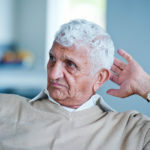 Comrade Laloo Chiba is survived by his wife, Luxmi, three daughters – Gita, Kailash and Yaswanti, seven grandchildren and four great grandchildren. Hamba Kahle Comrade Chiba – a principled activist, humble revolutionary and selfless leader!